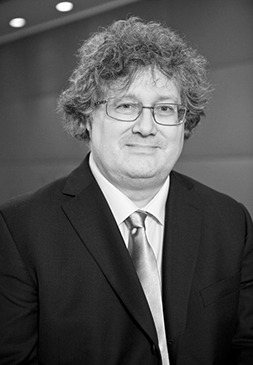 Dr. Pierre Régibeau (Vice President) specializes in the field of Industrial Organisation, law and economics and international business with a strong experience of economic consultancy. Dr. Régibeau has worked on numerous cases involving mergers, competition inquiries at the European Commission and national competition authorities. Cases include the Newscorp/Telepiù merger, the UK Premier League football case, the Microsoft case, the Ryanair case and the review of BskyB’s position within the wholesale Pay TV market by the OFT. Dr. Régibeau holds a BA in Economics from the University of Liège in Belgium and a PhD in Economics from Berkeley University. Since 1987 he held teaching positions at the Sloan School of Management (MIT), the Kellogg School of Management (Northwestern University), the University of Barcelona and INSEAD. In the last few years, his work has mostly focused on network industries and high-tech industries. Dr. Régibeau has written extensively on intellectual property rights with an emphasis on the interface between IPRs and competition policy. He is the author (with K. Rockett) of a report on IP and competition policy commissioned by DG Comp in 2011. Most recently he was a reader of Economics at the University of Essex. He is now an Honorary Professor at the University of Essex. From 2006 to 2011, he was a member of the Economic Advising Group on Competition Policy, a group of academics advising DG Comp. Dr. Régibeau is a native French speaker. Huawei vs ZTE: A Blueprint for SEP Licensing?